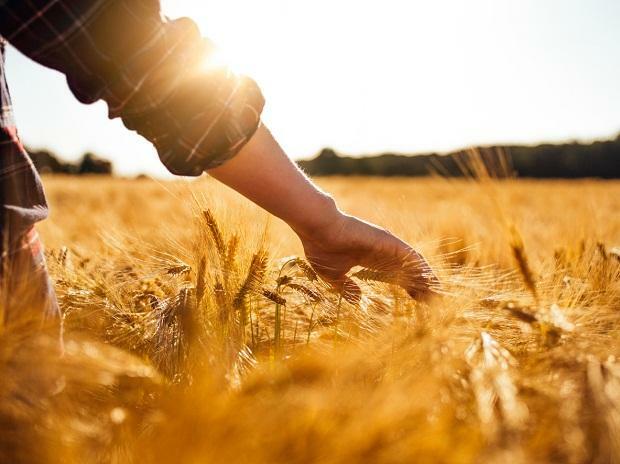 In the crucial election year with the farmers’ issues gaining currency with the political parties, the Yogi Adityanath government in Uttar Pradesh has hiked the wheat procurement target by 10% over last year to 5.5 million tonnes in the coming rabi marketing season 2019. Last year, the state had posted record wheat procurement figures of 5.3 MT against the seasonal target of 5 MT during the two and half month period starting April 1, 2018. After coming to power in March 2017, the procurement of major cash crops of wheat and paddy has clocked consistent improvement as compared to the period under previous dispensations. For example, in 2017, UP had posted wheat procurement of 3.7 MT compared to 0.8 MT in 2016, thus registering quantum jump of 460%, which further increased by 43% to 5.3 MT in 2018. Enthused by high wheat procurement last year, the Adityanath cabinet on Saturday night had set the target 10% higher to 5.5 MT for the current season commencing next month. Besides, the government has increased the wheat minimum support price (MSP) by more than 6% from Rs 1,735 quintal (100 kg) to Rs 1,840 quintal. The state would additionally pay a bonus of Rs 20 per quintal for wheat chafing, which raises the effective payout to Rs 1,860 per quintal. If the government is able to achieve its target, the farmers would receive wheat payouts of more than Rs 10,000 crore this season, which would be sent directly into their bank accounts within 72 hrs. Meanwhile, a network of nearly 6,000 procurement centres would be established across the state for purchasing wheat directly from farmers. In fact, the state has announced that the procurement agencies would continue to receive wheat even if the season’s target is achieved during the procurement period extending from April 1 to June 15, 2019. With the Lok Sabha polls merely weeks away, the ruling Bharatiya Janata Party (BJP) does not want to give any leeway to the opposition to corner it over farmers’ issues, especially pertaining to payments delay or defunct procurement centres, which spurs panic selling at much lower than MSP prices. In the recently concluded 2018-19 paddy procurement season, UP posted record paddy purchase of nearly 4.9 MT compared to the target of 5 MT. In 2016-17 and 2017-18 seasons, the state had posted paddy procurement of 3.5 MT and 4.3 MT respectively against the target of 5 MT.